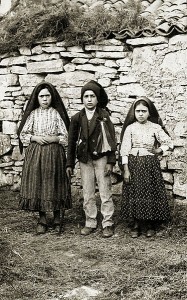 You are here: Home » Featured » The Saint Children of Fatima Bring Their Message To Washington, D.C. The United Nations Pilgrim Statue of Fatima spent two days at the Shrine of St. John Paul II, accompanied by the relics of two of the visionary children, newly canonized Saints Jacinta and Francisco Marto, and by a piece of the tree where the 1917 apparitions took place. The statue attracted hundreds of pilgrims and featured an expert panel demonstrating the historical and contemporary connections between geopolitics and international social policies on life, marriage and the family. “The lesson of Fatima,” Yoshihara said, “is the role of values in changing history. Fatima is a lesson our leaders today can learn and use just as John Paul the Great and Ronald Reagan did,” she said. Professor Paul Kengor, author of A Pope and a President, shared details of the historic relationship between U.S. President Reagan and the Polish Pope. The Grove City College professor focused on their joint efforts to defeat soviet communism and showed they were guided by Fatima’s lights. As Kengor noted, Reagan’s attraction to the Pope was linked in part to the saint’s veneration of Fatima, to whom he attributed his survival from an assassin’s shooting in 1981. Reagan’s understanding of Fatima’s central message went even deeper, Kengor said, as revealed by a speech he gave to the Portuguese Congress, in 1985. 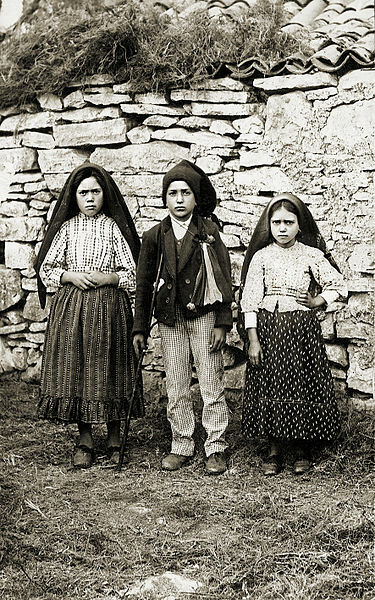 “In the prayers of simple people everywhere, simple people like the children of Fatima, there resides more power than in all the great armies and statesmen of the world,” Reagan said. C-Fam president Austin Ruse echoed the message, presenting his book, The Littlest Suffering Souls. Ruse was moved to tears telling stories of children whose sufferings generated miracles all around them, including in Washington D.C. They “point us to Christ,” he said, “as Marta, Jacinto, and Lucia did.” “They all suffered greatly,” he noted, but not without reason. Speaking on behalf of the poorest and most forgotten children, Congolese Father Albert Shuyaka spoke of “Africa’s World War,” a decades-long conflict that has claimed more than five million lives. He condemned international efforts to eradicate the pro-life and pro-family values of the African people. He denounced the recent deriding words of French President Macron, who suggests African women are “uncivilized,” having too many children. He urged caution in supporting family planning groups, which “come to Congo and provide contraceptive shots to women.” “These groups do not realize they come to a country where needles are vectors of HIV,” he dramatically said. “Children in Africa still die of Malaria!,” he denounced. Father Shuyaka runs an organization providing basic healthcare, maternal and child health, clean water and clothing to support women in childbirth, largely funded by generous U.S. donors.